Rebranding effort generates renewed brand awareness and 23% increase in revenue. 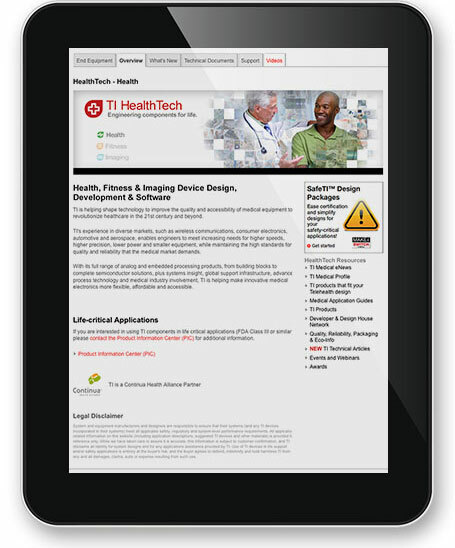 CLIENT: Texas Instruments (TI) is a global analog and digital semiconductor IC design and manufacturing company. In addition to analog technologies, digital signal processing (DSP) and microcontroller (MCU) semiconductors, TI designs and manufactures semiconductor solutions for analog and digital embedded, application processing, and education technology. CHALLENGE: Although TI has a well-established brand identity, their Medical Business Unit (TIMBU) did not enjoy the same equity with their target industry. TIMBU had recently expanded from providing semiconductor chips for medical devices only (for example, CAT scan and x-ray machines), to including devices related to healthy lifestyle, but not necessarily medical (e.g., pedometers, blood glucose meters, blood pressure cuffs, heart rate monitors). TIMBU needed an impactful way to communicate their expanded focus. The goal was to explain the new products, emotionally connect with customers, generate brand awareness, and educate and equip their sales team. CS Creative was brought in to identify how to divide their products to align with various audiences, brand their business unit and articulate their messaging. 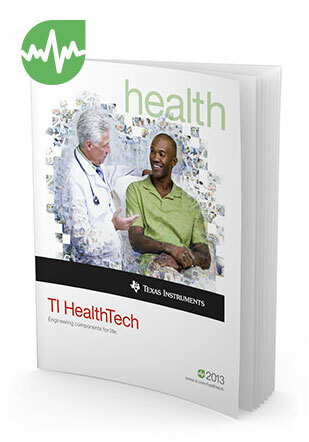 SOLUTION: Our extensive market research led to a branding blueprint that included a new name: TI HealthTech. 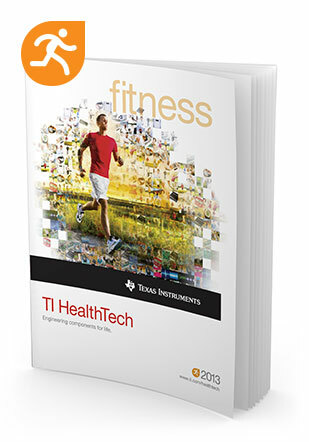 CS Creative developed the tagline “Engineering Components for Life” to drive home TIMBU’s brand vision: providing technologies that help clients create innovative products to transform healthcare worldwide. 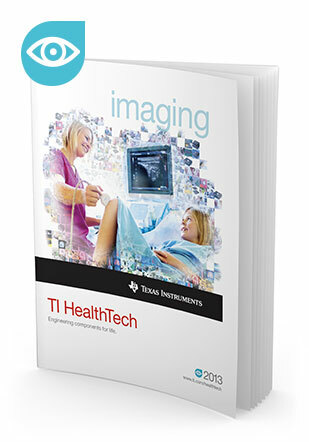 To set TI HealthTech apart from its competitors, our branding approach features the people who benefit from the products developed from TI technology, and invites the viewer to connect emotionally with them. Because the target audience is engineers, we presented the visual branding in a way that also appeals to the left brain. Each mosaic was created from hundreds of images of TI products and their end-use applications. 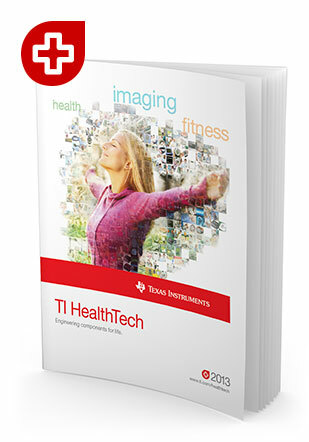 Clients and prospects can easily see how TI HeathTech is applicable to their business and will benefit them and their customers. The brand was launched at the industry’s biggest tradeshow – Consumer Electronics Show. Our cohesive and polished branding, message map and internal training sessions educated the sales team to better understand and communicate their new direction. This empowered the team to be brand advocates and to drive their message to more divisions at prospective companies.